There is just so much “stuff” out there. The interwebs, TV, Social Media – I always think of that commercial with the girl that says it must be true….because she saw it on the internet. Funny, right? I’ve seen quite a few discussions on Social Media the last few days and it really has me thinking. What’s not so funny is that sometimes people are so willing to believe whatever they read, see or hear out there. Sometimes it’s the first stop they make after that initial internet search. They read whatever it is they’re researching on, forgetting that those things they’re reading? They are people’s opinions, thoughts, even their own research and sometimes they are talking about something like they know all about it, when in fact, they haven’t even experienced it. How do we know? How can we tell the genuine, real life personal review from the one that is just someone stirring the pot? It always surprises me, and I do this too, how much weight we are willing to give to what we are reading or hearing, often forgetting that it’s someone else’s opinion, research or just their ramblings on something they may or may not know anything about – it must be true, right? We just READ it on the internet, or saw it on TV, or read it in the newspaper. 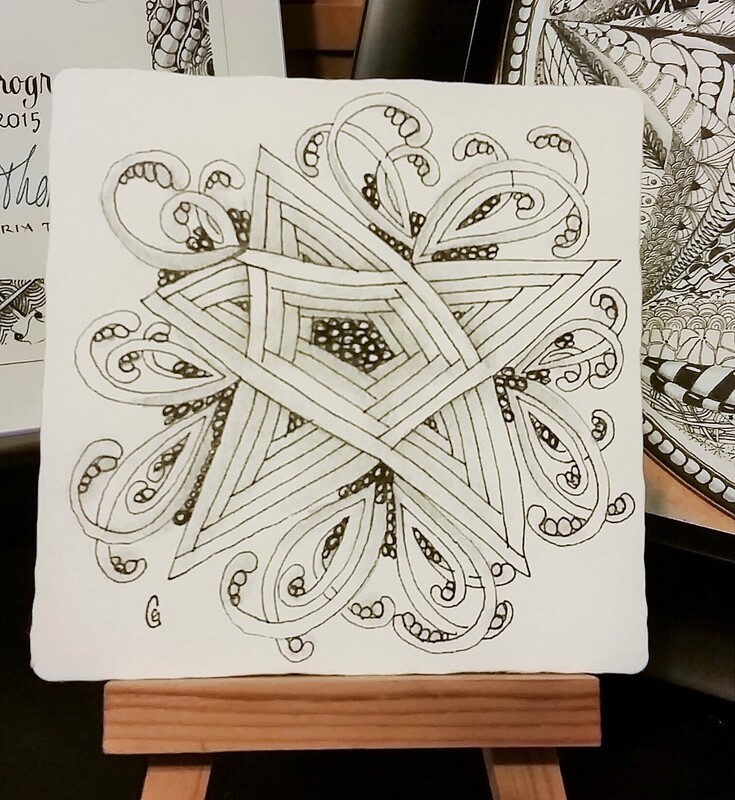 So Zentangle ® . So much information out there. So many write about it. Have opinions about it. Good. Bad. 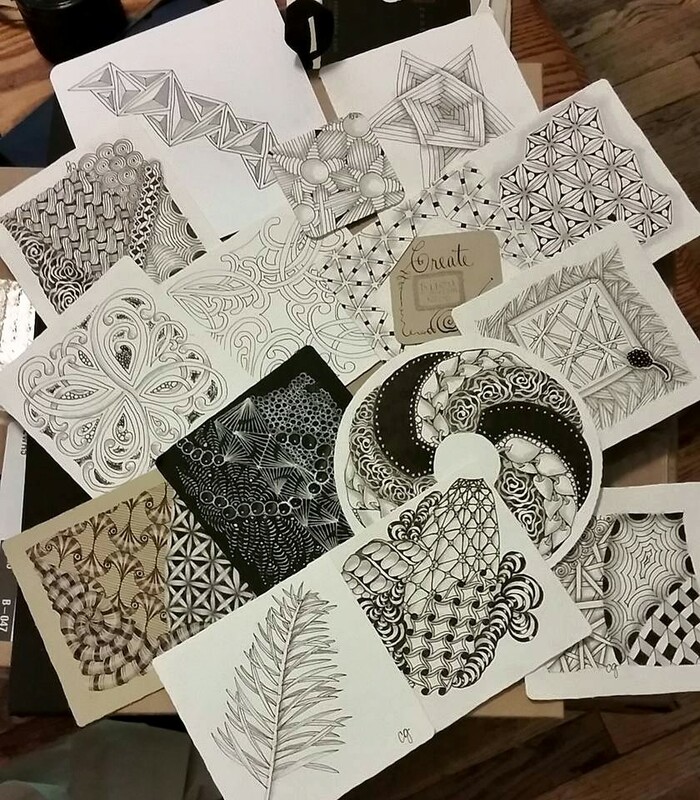 Some are really hating on it – “Doodling has been around forever” or “No one tells me how to do MY art” or “I don’t do anything that has RULES” I’ve seen different versions of all those statements, especially in the last few days and I have just one question – where are people getting that information? 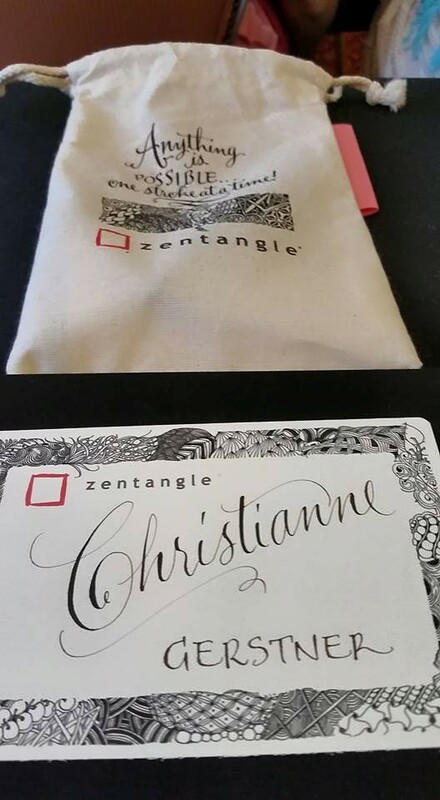 Because I cannot find it on the Zentangle.com site. I don’t think CZT’s are teaching that. 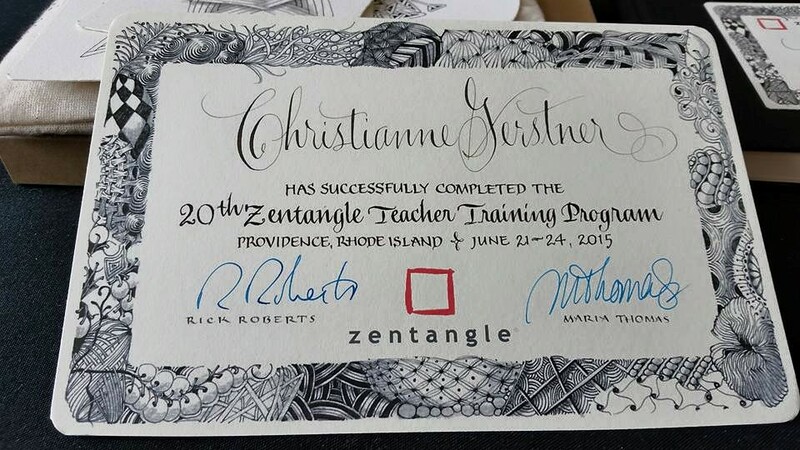 It’s not taught in the CZT seminar. To me, it’s sort of like reading a review before you buy something – wouldn’t you go to a lot of different sources, read them and maybe between all you’ve read, you can make an informed decision? Or at the very least, try the method before you bad mouth it all over the place. You need paper, pen and a pencil. That’s it. 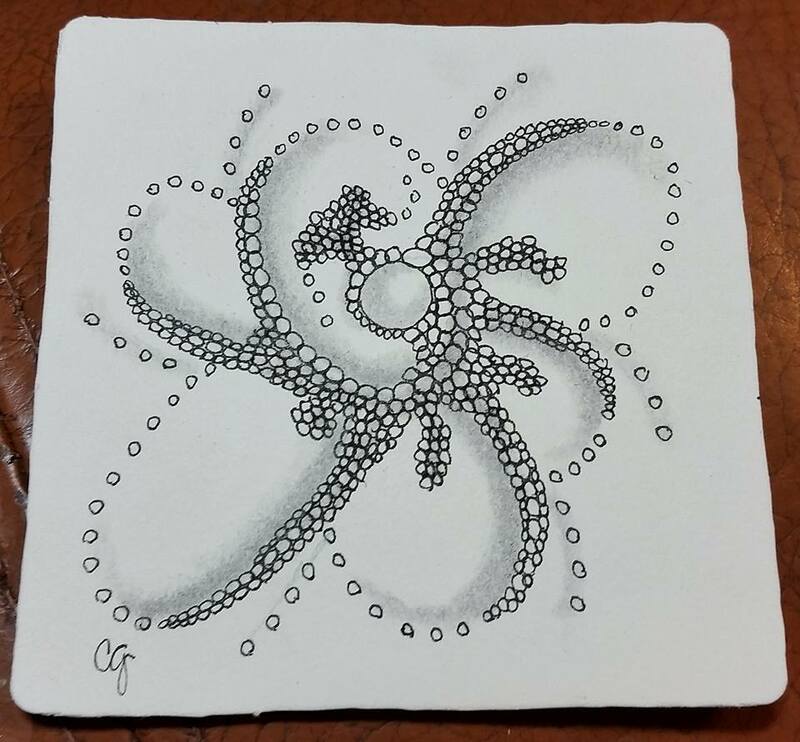 Three things, 15 minutes and maybe it just might open your mind. Have you ever heard that phrase “Straight from the horses mouth”? 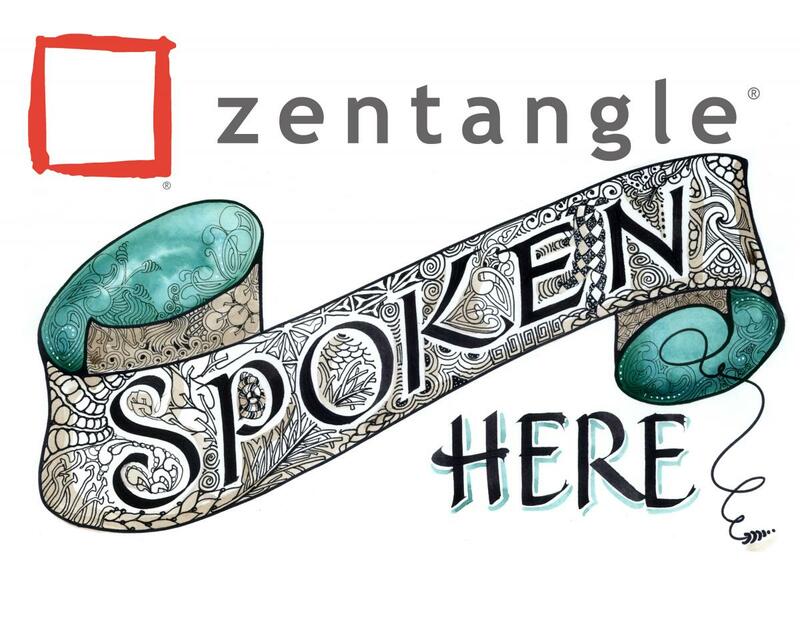 Well….wouldn’t that just be amazing if people went straight to Zentangle.com, spent a little bit of time reading and make their own conclusion? Don’t even listen to me…..why would you? Do you know me? Maybe I’m the most down to earth person that would never lead you down the wrong path. Maybe I’m a lying McLairpants that’s just messing around, trying to get you all riled up. How do you know? And why shouldn’t people take control of what information they get? I feel like now, after my training, I just want a blog post to point people in the direction of learning more about this method. 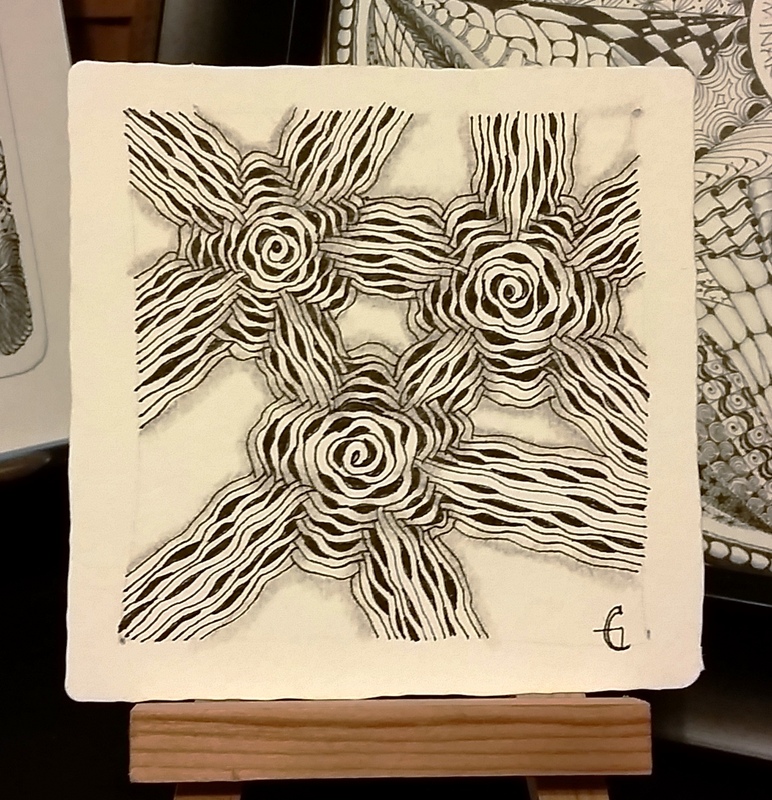 You can read about Zentangle Method Here and Theory Here. Or ask me or any CZT! 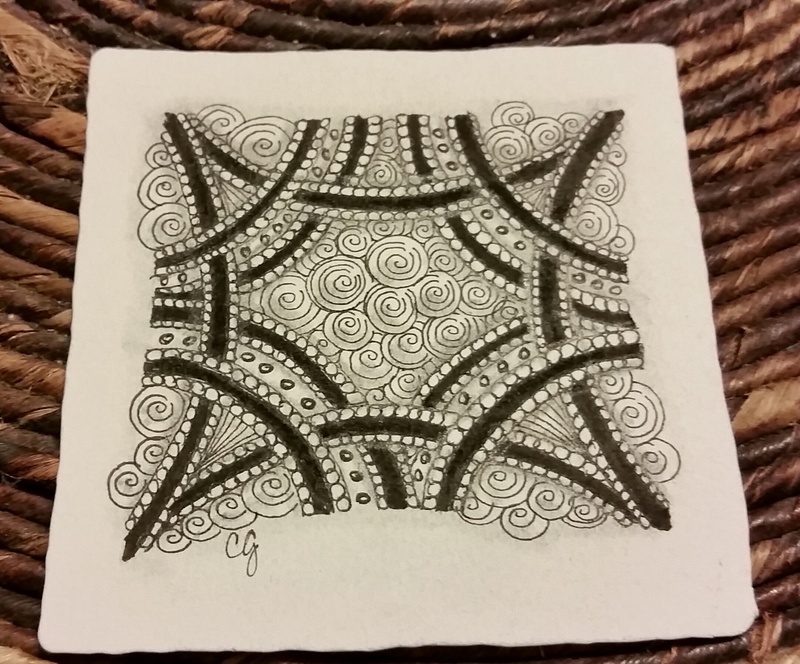 Take the 15 minutes and make a tile – did that hurt? Did it make you angry? Did you feel like someone was screaming orders at you the whole time? Or. Did you feel calmer, more relaxed, less stressed? Did that 15 minutes open a new door for you? Great then find a CZT in your area. Take a class. Believe me, there is nothing, no review, no ones opinion that is more valuable than YOUR firsthand experience. Not even anything I’m saying right here, right now is more important than your experience. Yours. Not someone on some FB group who is just trying to agitate people. Not someone who heard it from her sisters cousins best friends aunt. Then let me know what happens after you take that class. I’m curious to see how many people have gone and done that, especially the people who were very skeptical, and have walked away with a totally different understanding from the one they started with. I’d love to do a survey on that someday. 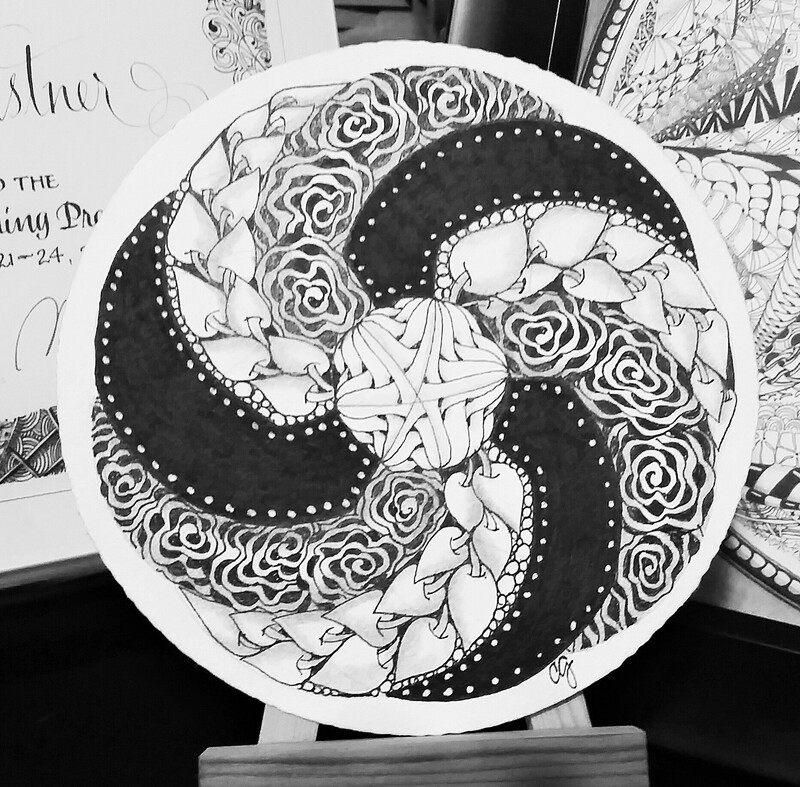 That’s what I’d like to say to people who repeat the misconceptions and misinformation out there about Zentangle or anything for that matter ….don’t offer up an opinion unless you have the experience of doing something – it’s like reviewing a car that you’ve never DRIVEN….how do you do that? 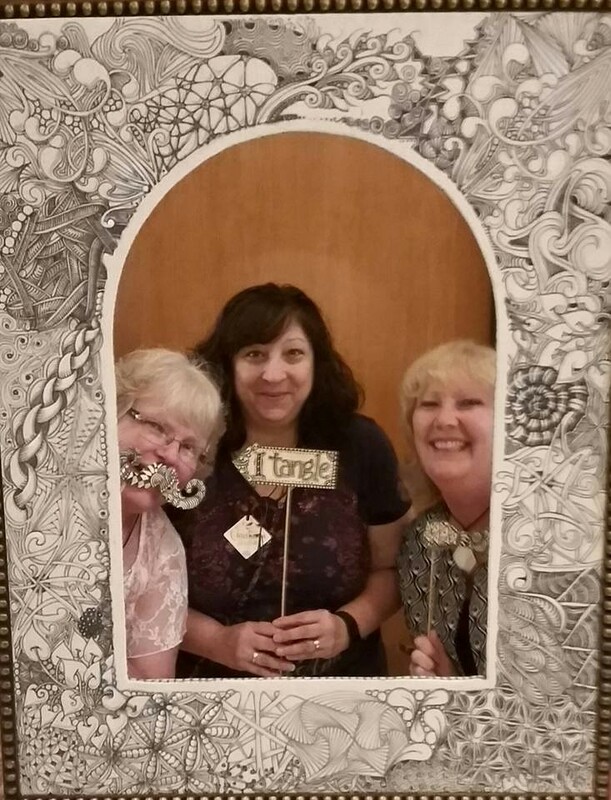 Photo Booth time with Karen, Me, and Chrissie Frampton. You cannot argue with that many smiling faces! 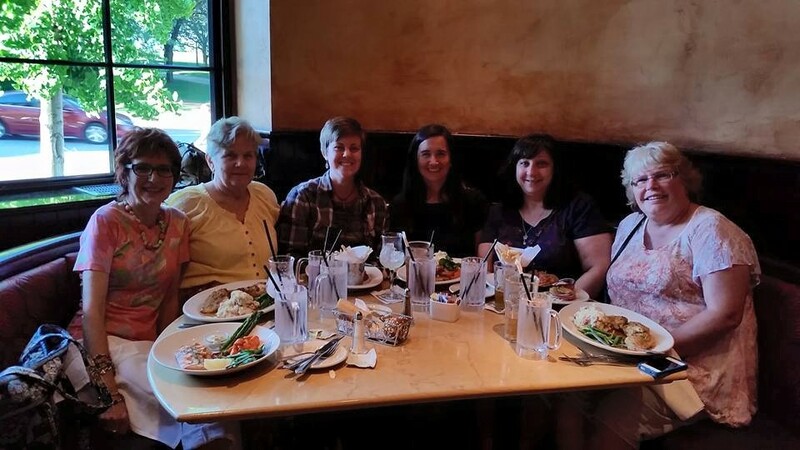 Pamela, Donna, Megan, Alecia, Me, Karen. I can’t describe the feeling of getting to work in this journal and all the wonderful things I hope I was able to write down – it’s an experience you want to make sure you relish every second of. 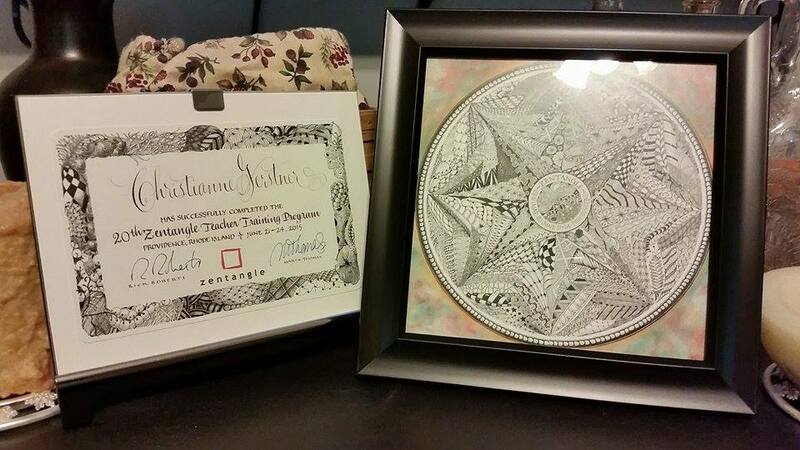 I couldn’t be more proud to have this Certificate and the Group Work of Art – how many things can you say you’ve cooperated with 107 other people on and produced something beautiful? If something I wrote here just makes one person take the bull by the horns (another cliche’) and go check this out for themselves, my soap box has served me well.